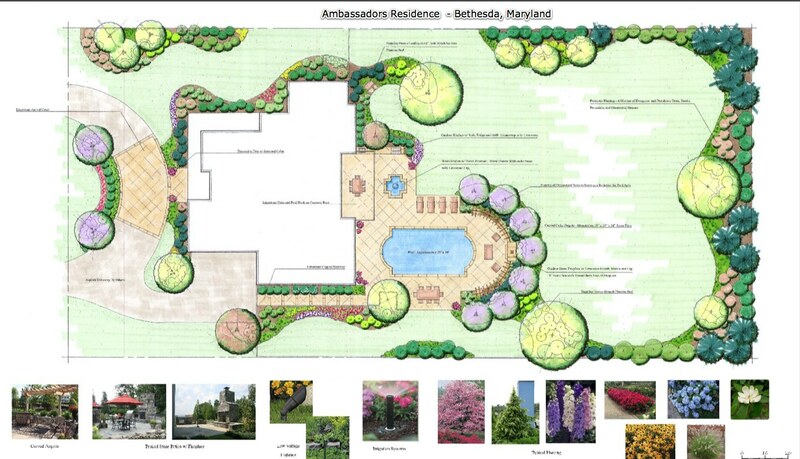 Landscape design plans are critical to any beautiful outdoor area. 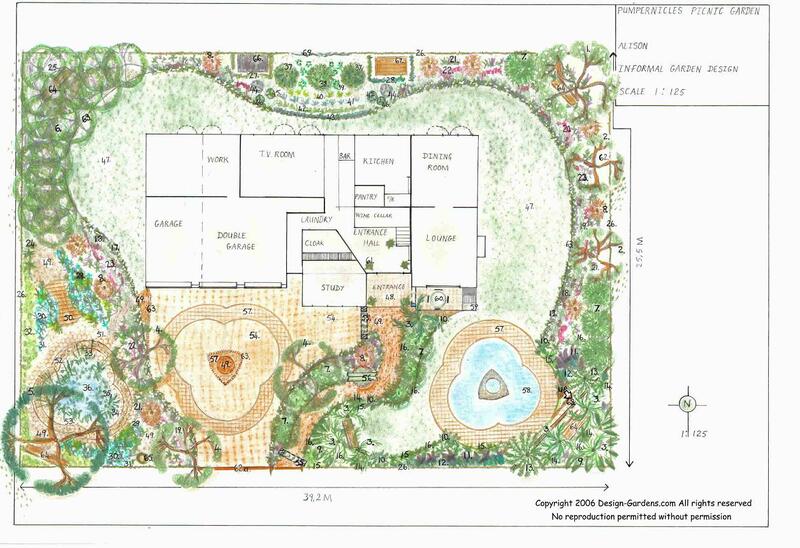 These detailed diagrams contain all the information needed to construct and install the landscape of your dreams, including scaled representation of everything within your property. Your design plan will illustrate the size of your property, as well as any special terrain features, and will display existing structures, existing hardscape designs, and plants and trees that will remain in your outdoor space. 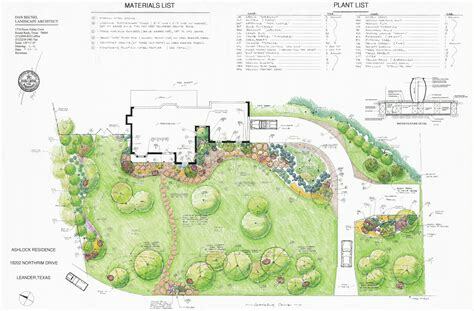 Creating Design Plans Some homeowners use special software programs to help produce an accurate, detailed landscape design plan, while others attempt to draw the plans by hand based on a plot map. There are a number of free design plans that can aid in the process as well, but the best way to get a professional and precise plan is to hire the services of a professional designer. 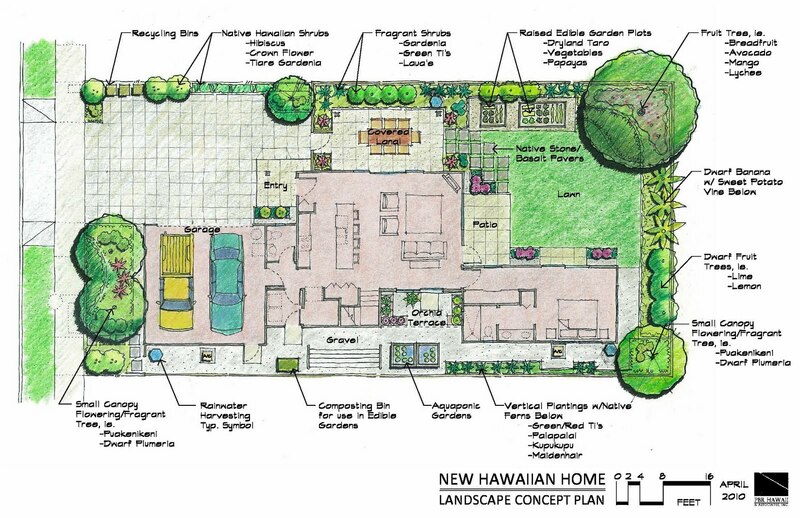 There are many different elements within a complete landscape design. Specialty designs, like lighting or irrigation, are typically illustrated with a separate plan. 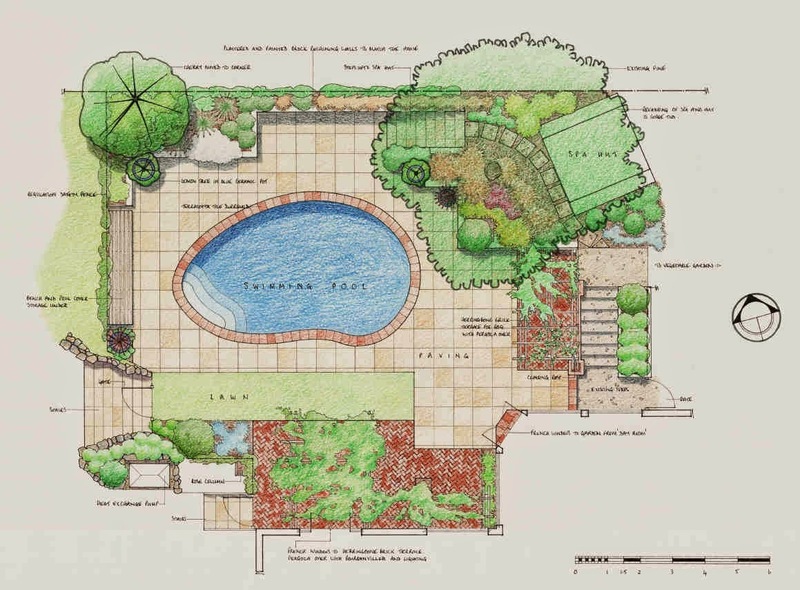 Swimming pool design, hardscapes, and even planting layouts each have their own design plan as well. Your plan set may include just one or two types of designs or could contain several, depending on exactly what your landscape design entails. 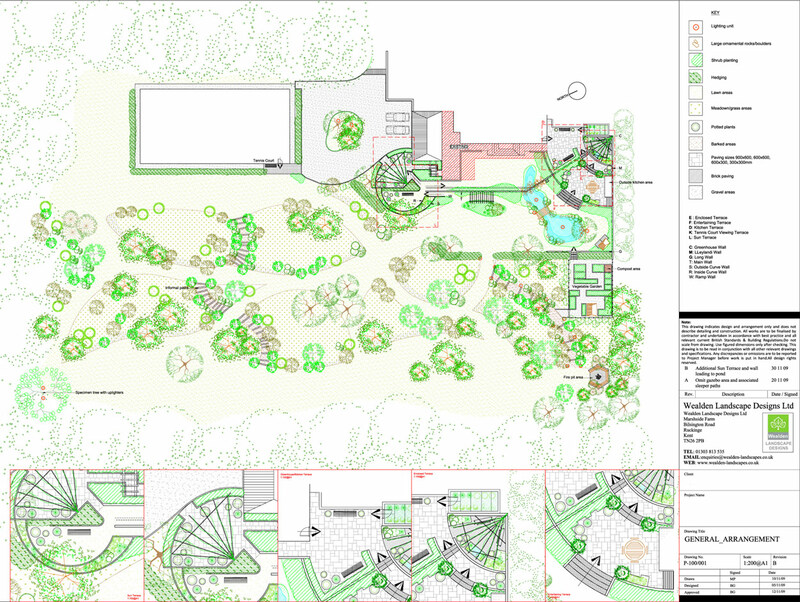 Types of Landscape Design Plans Plot plans are the foundation of every other design plan for your yard. Extremely precise, these topography charts are usually obtained from a surveyor to ensure accuracy. Plot plans map out the existing structures and land elements on your property, including: Accurate property lines, adjacent roads, driveways and sidewalks, walls, and fencing. Buildings, storage sheds, your house, and other elements that may interfere with your design, like a play set or heating unit. Natural features, including slopes, drainage issues, and both natural and man-made water elements. Concept plans are the master design plans that bring everything together into a single diagram. Also called a site plan, this design is typically in AutoCAD format, but may be drawn by hand, and is often a resource used by contractors to develop an estimate on installation. 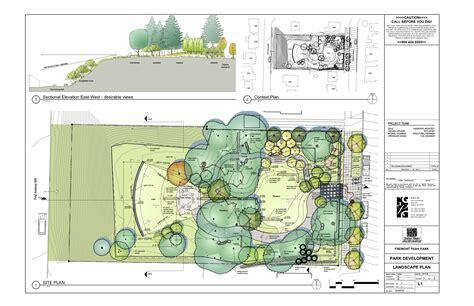 Elevation plans are typically integrated into other landscape design plans to provide more detail on vertical features. Structures like gazebos, walls, and fireplaces can be seen more clearly to ensure a more accurate installation. 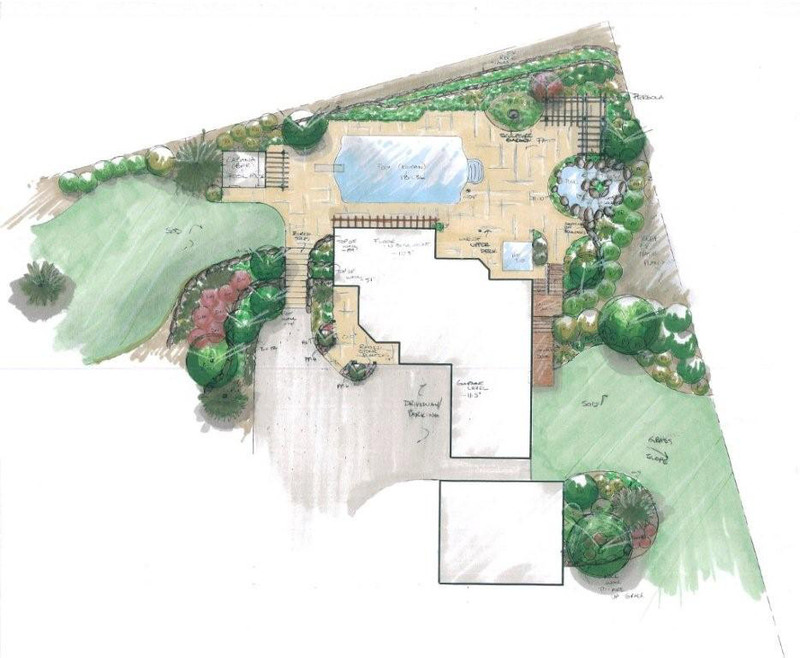 Hardscape plans are often found within the concept plan but can be illustrated in a separate design plan as well. These plans are important for precise installation measurements on sidewalks, drives, fencing, and other structural landscaping elements. The appropriate materials, colors, and related details are outlined on the plan as well. 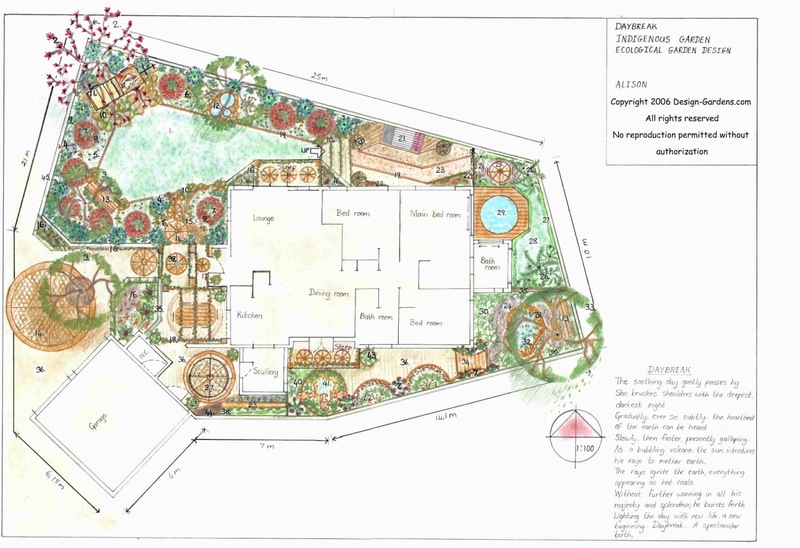 Planting plans are extremely detailed instructions for the installation of the vegetation within your landscape design. Using symbols and a comprehensive legend, the exact location of each plant is noted and the types of planting materials required are clearly stated. Planting plans can include shrubbery, hedges, flower beds, trees, and any other vegetation in your outdoor area. 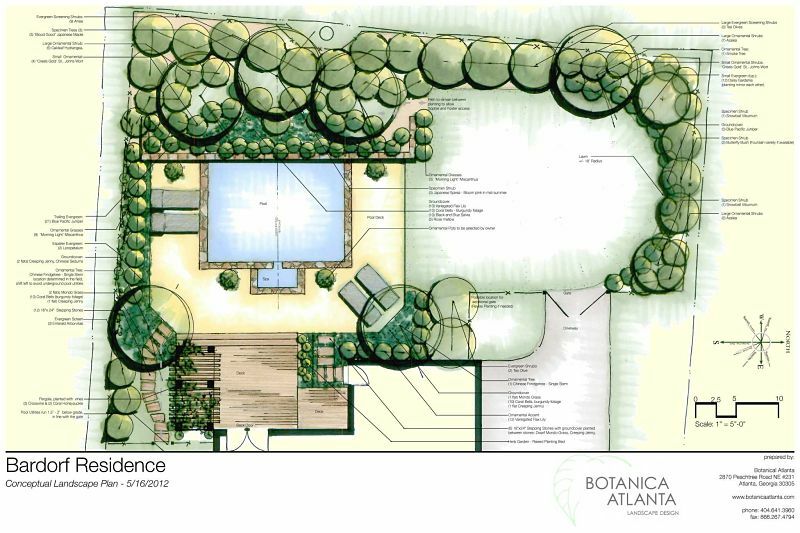 Irrigation plans are not a part of every landscape design and are often integrated into an existing outdoor design. These plans include the layout of piping and the placement of sprinkler heads, helpful illustrations, and details on the necessary parts and equipment for installation. Drainage plans are necessary parts of many landscape designs to eliminate excess water after a rain. These plans are also quite detailed, containing measurements on the exact grade needed and information on the best materials. Lighting plans are optional as well, but are usually seen in most high-end outdoor designs. Illustrations and diagrams detail the types of lighting fixtures, along with their placement and positioning throughout the yard. Wiring and installation instructions are outlined and special lighting techniques are also noted.